Effectivelly I am not so active on Forums since some months: Here or elsewhere. 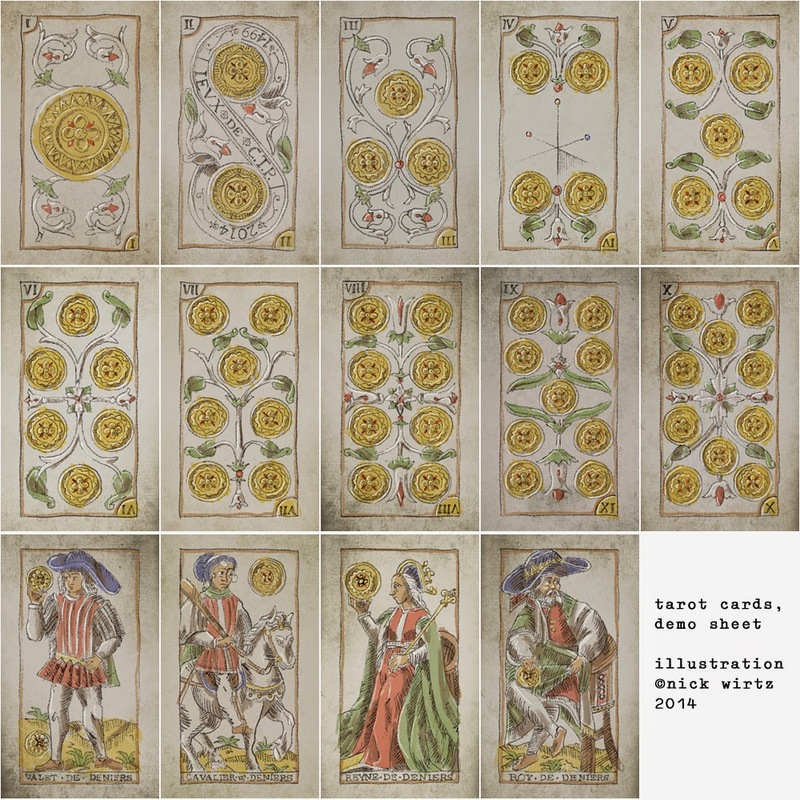 Because of my own activity in Tarot researchs, developpement of a new Historical Tarot facsimile: To be issue this automn. Plus two other to be issued in next months after in 2015. 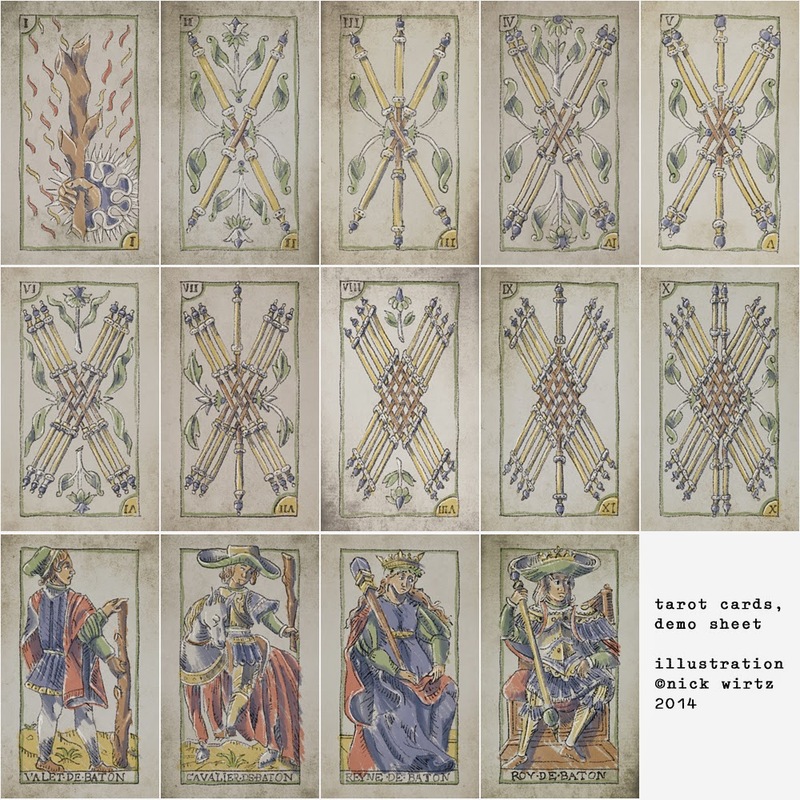 I also writte a book re Tarot, words by words and very slowly (as usual for me). But to answer your question I would say that to put exact colours and /or exact design/object on Tarot cards is a great challenge. 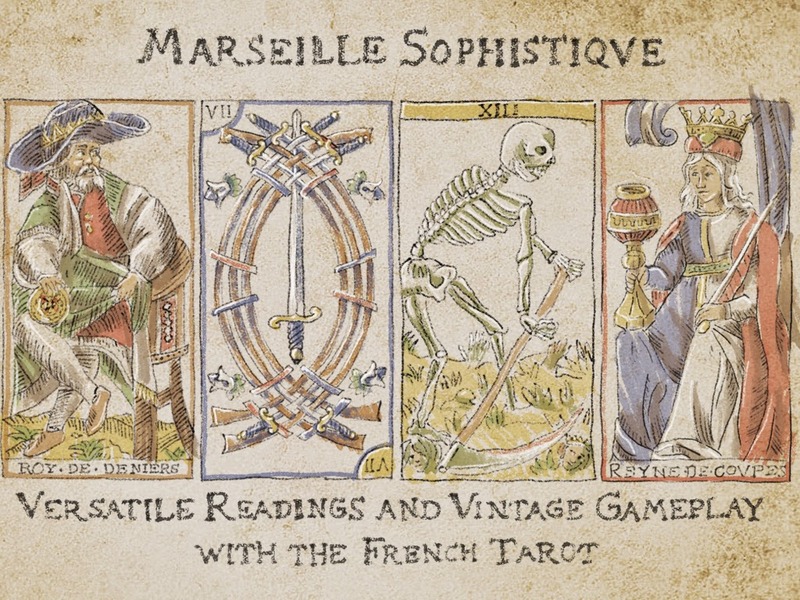 Many various old versions of Tarot of Marseille Pattern does exist: I would say about 50/60 but probably much more. Nearly nobody (and I am a pretender to be one of them hu hu...) has so much versions in his database. Anyway you will always face an old (or young) Tarot historian who may criticize your choices because of his own preferences. So.... what to do ? Relax: This are only playing cards and Ego trips. Do search as much as possible old versions and compare them. You may also email me if you have specific questions and I will give you my two cents. Thanks, Yves, that's really good advice- so far, I haven't had anything upsetting, but have stressed a bit about contradicting emphases/interpretations, either between schools of thought or between my approach and more established ones. 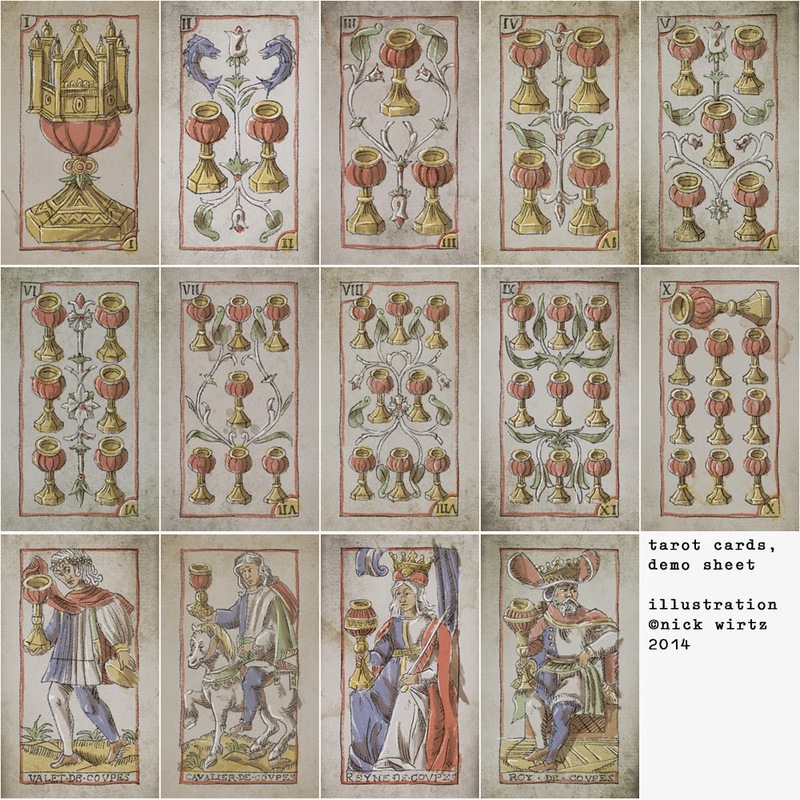 There are a few cards where I've just had a lot of trouble clearly identifying what they represent, and I'd love to ask you a few questions about those (once I get a better list together). Also, very sorry for the delay writing back to you, I've been really busy and thought I'd set this forum to send me alerts so wasn't checking it. For those interested, some more progress on the deck. I've tried to keep updates here to a minimum, so as to not spam the site. 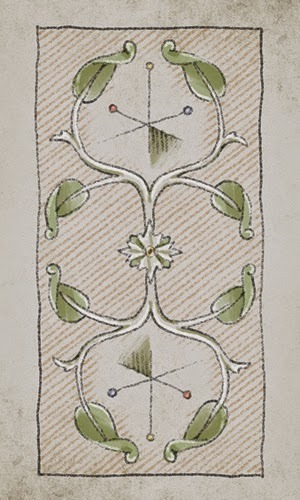 Some of the more notable changes since the first draft are more standardized colors and removing the artificial stains. The pics are cut off by the forum here, but you can either right-click to view the full images, or are the full versions in the links here. Hi all, everything got approved via kickstarter, and we've been live for a bit now, so, in case you're interested in a deck with a historical sensibility (rather than, y'know, an actual vintage deck), here's a link. So, just a heads-up, the kickstarter's closing tonight (pacific time time) with just a couple stretch goals left.